When conditions require finesse, the pros use new G Finesse Worm Light hooks. The light wire allows for threading of extremely small diameter worms with ease. Even the most fragile plastics are less likely to tear, saving on baits and increasing fishing time. The non-corrosive tin keeper doesn't add weight. 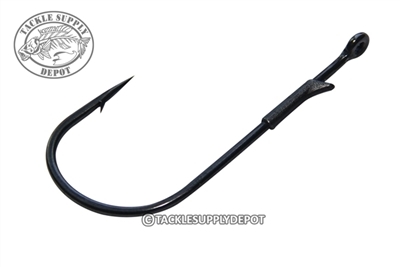 Like all G Finesse hooks, the Worm Light hook penetrates with significantly less force making them substantially more effective.